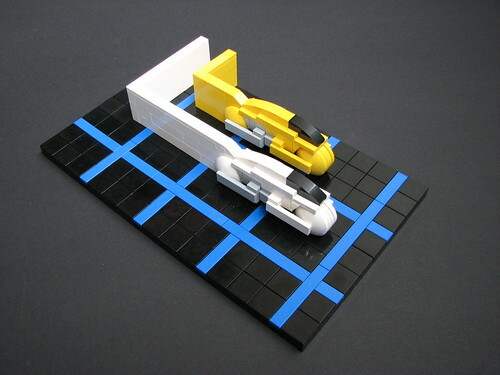 In honor of TRON LEGACY coming out tomorrow, one of the best Tron-themed LEGO MOCs you will find on the internet. – 2×4 – put this MOC together for the Mocolympics on Mocpages. Full TRON Light Cycles set at flickr.